Although Hearts have had a terrific first half of the season their recent form has not seen the early heights maintained. The last seven league fixtures have made them a favourite with punters who search for ties as they recorded five draws alongside the solitary win and one loss. 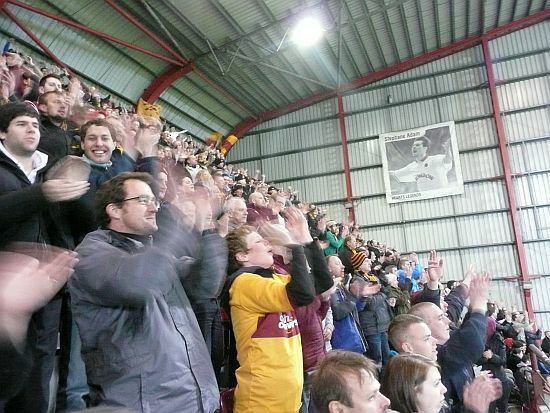 But last week’s impressive cup win over Aberdeen underlines the task Motherwell face. They carry a big and powerful attacking force with Juanma and Sow capable of battering any defence. The pair have 16 goals between them and they will keep McManus and hall busy all afternoon. With Lasley suspended and Grimshaw having had his loan spell terminated our long run of an unchanged successful starting eleven is ended. The loss of those two will force an unwanted shuffle. What to do? Part of the solution may involve a return to duty for Craig Reid. Now that his loan spell at St Mirren has ended he’ll be keen to grab a chance back in our first eleven and he could share right sided duties with Josh Law. The manager has suggested that Louis Laing could develop into a fine midfielder and this game will offer an opportunity to test that theory. Could Kieran Kennedy be part of the plan? To counter the goal threat from the opposition we’ll be relying again on the partnership of Moult and McDonald. Their deepening understanding has been one of the outstanding successes of McGhee’s second coming and we’ll need a goal of two if the visit to Gorgie is to be a success. A repeat of the 2 2 score in the last meeting between the teams would see us back along the M8 happy but a 2-1 defeat more likely. Remember our last trip to Tynecastle?